Books about the Kennedys are legion. Yet missing until now has been the exploration of the bond between Jack and Bobby, and the part that it played in their rise and fall. Eight years apart in age, they were wildly different in temperament and sensibility. Jack was the born leader—charismatic, ironic, capable of extraordinary growth and reach, yet also pathologically reckless. Bobby was the fearless, hardworking Boy Scout—unafraid of dirty work and ruthless about protecting his brother and destroying their enemies. Jack, it was said, was the first Irish Brahman, Bobby the last Irish Puritan. As Mahoney demonstrates with brilliant clarity in this impeccably documented, magisterial book, the Kennedys lived their days of power in dangerous, trackless territory. The revolution in Cuba had created a poisonous cauldron of pro- and anti-Castro forces, the CIA, J. Edgar Hoover’s FBI, and the Mafia. Mahoney gives us Jack and Bobby in all their hubris and humanity, youthfulness and fatalism. Here is American history as it unfolds. 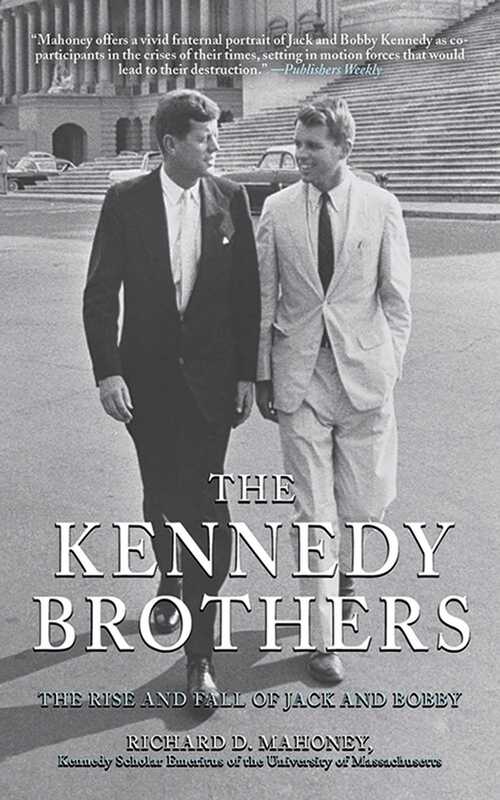 The Kennedy Brothers is a fresh and masterful account of the men whose legacy continues to hold the American imagination. Originally published under the title Sons and Brothers.